An influx of new varsity players has the David Douglas boys basketball team still searching for its first win of the season. The Scots almost shocked unbeaten Forest Grove last week before coming up three points short. "The challenge right now is that we don't have a lot of experience or size," David Douglas coach Chad Reeves said. "We are trying to play fast, but these guys are still getting used to going at that speed. Right now, we are turning the ball over too much. You have to emulate that pace in practice and put that pressure on or you don't learn what it looks like." The backcourt is led by junior Jermaine Robinson and sophomore Trenton Templeton. "Jermaine is a dynamic scorer and on the defensive end he gets his hands on a lot of passes," Reeves said. "Trenton has played a lot of basketball, and he's someone who will show up and compete." One of the few returning players that saw much action last season is senior Geo Baxter, who sets the pace with hustle plays. "He's one of our more aggressive rebounders and that lands him a few extra points every game," Reeves said. Despite the 0-9 start through preseason, Reeves has been happy with his team's defensive effort. "Defensively we've been really active and getting tips on the ball, which leads to transition hoops," he said. It's a similar story for the David Douglas girls, who graduated six main players off last year's team that earned the final spot into the state playoffs. Volleyball standout Lydia Collins is the team's only returning starter, giving the Scots an active player in the paint. "She's an athletic player, who can run the floor and finish at the rim," Scots' coach Chris Cavanaugh said. "She brings some experience to a group that doesn't really have any. She gets up off the ground quickly and disrupts things at the rim." Also back is forward Shayla Slossar and post player Paige Collins. "Shayla does a little bit of everything for us with her hustle," Cavanaugh said. "Paige brings some height, but she also handles the ball well and can shoot it." 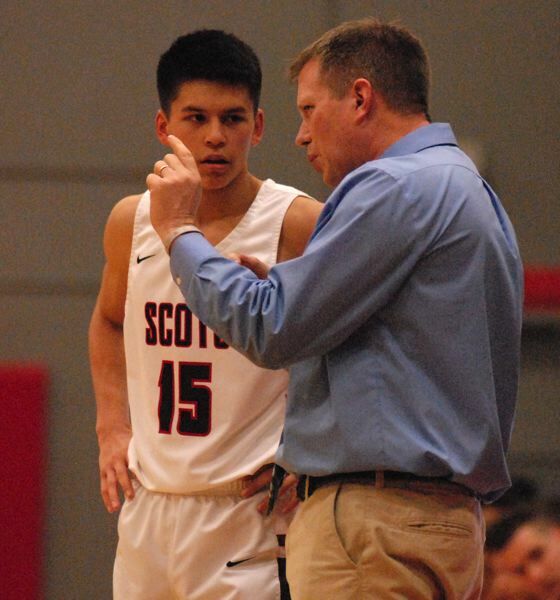 The Scots (0-8) have battled injuries through a stacked preseason schedule that has included four playoff teams from last season and an invitation to the elite Nike Interstate Shootout. "It's an opportunity for these girls to jump in and get used to that varsity pace against some pretty good teams," Cavanaugh said. The Scots are working to lock in their full-court press, high-tempo play. "We've really preached being the hardest working group on the floor," Cavanaugh said. "Once we get this group together, we'll have a good mix as a team." This season preview appears in our Monday, Dec. 31, special New Year's Eve edition.